You may remember our Union President Alex Hovden’s excited post earlier this month to announce a new series of high-profile speaker events coming soon. Without further ado, we can now reveal that former leader of the Green party, Natalie Bennett will be joining us on Tuesday 06 December for the first event. 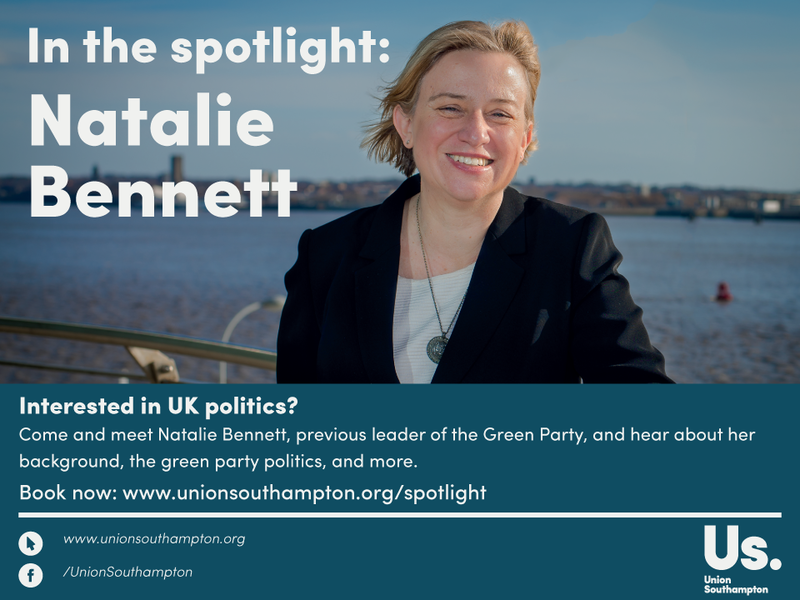 Come along to The Cube from 18:30 to listen to Natalie speak about her political background and Green Party politics. We will also be offering you the opportunity to ask any questions in a Q&A session for the last 15-20 minutes of the event. We understand that university can sometimes bring about stress, what with deadlines and adjusting to student life away from home. That’s why we developed the Peer Support scheme. Peer Support is a confidential listening service delivered by students for students. It provides an informal opportunity to talk through any issues that may be concerning you. Perhaps you are feeling homesick or lonely, maybe the stress of university life is getting to you or you just need someone to moan to. Our peer supporters are willing to listen to you and take time to understand what is on your mind. Need to talk to someone to get some advice or just for a chat? Our Advice Centre is here to give you free, confidential and impartial advice and support on a range of different issues. But now, you don’t even need an appointment! 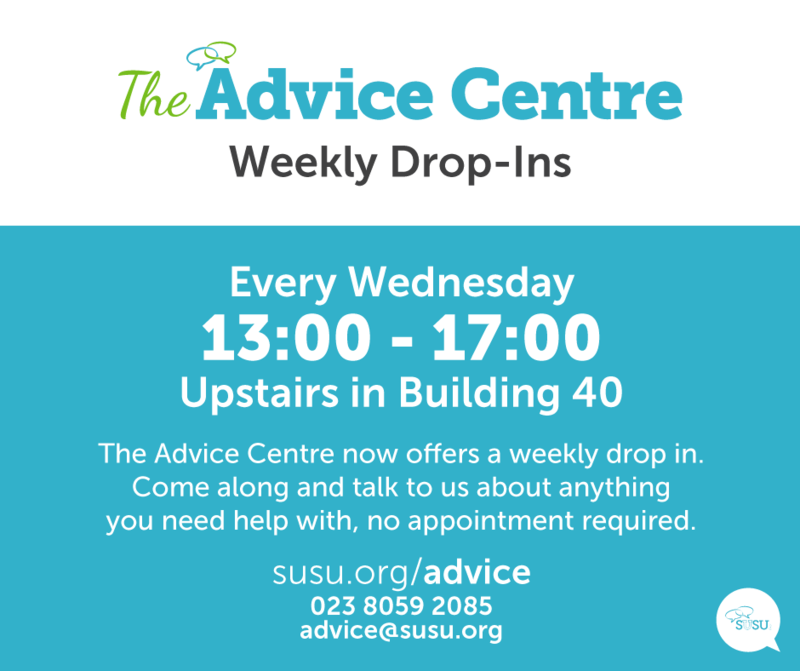 Pop in at our weekly Wednesday drop-ins starting today (Wednesday 6th April) between 1-5pm (we’re located to the left at the top of the stairs in Building 40, above The Stag’s). Keep up-to-date with the latest news from the Advice Centre on our Facebook page by clicking here. Cyber bullying is any sort of bullying which takes place online. This could be through social networking sites (such as Facebook), messaging apps or gaming sites. In a recent national bullying survey taken by Bullying UK, 56% of young adults said that had witnessed other people being bullied online, with 42% saying they felt unsafe online. 1 in 4 people will experience some kind of mental health problem in the course of a year. 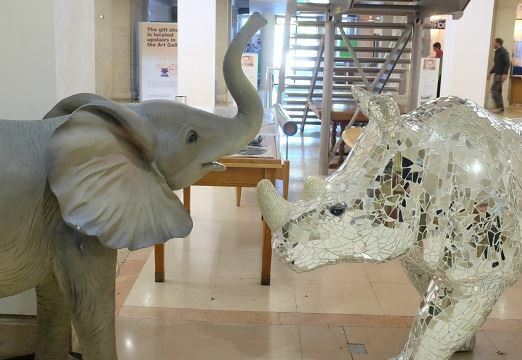 Look out for the SU elephant, affectionately known as Trunky, which will be in a different part of the SU every month to raise awareness of mental health as part of the ‘Elephant in the Room’ campaign.